For their 75th anniversary, St. Luke's Ev. 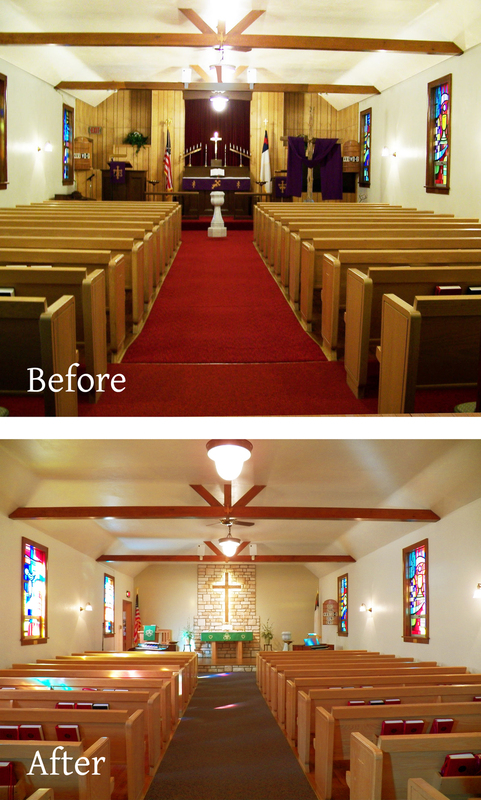 Lutheran Church in Pickwick, MN (Winona, MN) completed this sanctuary renovation. It was a very neat project to watch, accomplished with the talented craftsmanship of St. Luke's members and their friends - literally. The new cross was even built from a member's tree. "Keep it simple" and "use your talents" were the agreed upon concepts throughout the process, with beautiful results.